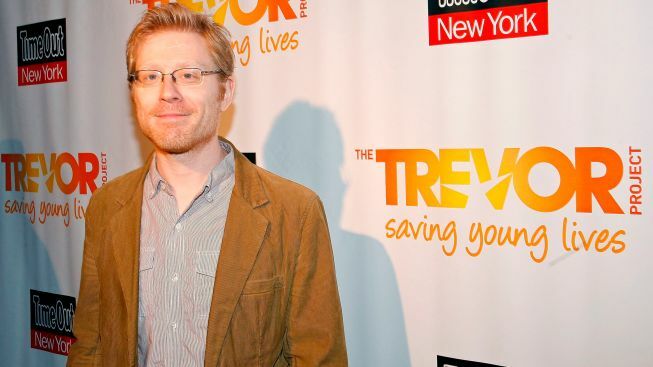 Anthony Rapp, pictured at a 2012 charity event for The Trevor Project, has signed on to join Idina Menzel in the coming "If/Then." It’s the second casting coup of the week for the hotly anticipated new tuner by Tom Kitt and Brian Yorkey, the creative team behind “Next to Normal.” LaChanze, a Tony winner for 2006’s “The Color Purple,” has also joined the “If/Then” company. Rapp, best known for originating the role of Mark Cohen in Jonathan Larson’s Tony- and Pulitzer Prize-winning musical, will play Lucas, an old college friend who reconnects with Elizabeth when she moves back to New York City. LaChanze will play Kate, an elementary school teacher and Elizabeth’s new neighbor. Rapp and Menzel are reuniting for this production, having first appeared together in the original cast of “Rent,” where Menzel created the role of Maureen Johnson, the outrageous lesbian performance artist. “If/Then” will have its world premiere in a pre-Broadway out-of-town engagement at the National Theatre in Washington, D.C. later this year. It will begin previews at the Richard Rodgers Theatre on March 4, with opening night set for March 27.